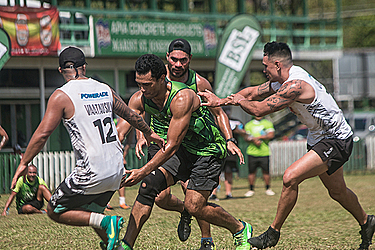 Vaatausili has taken out this year’s Bank of the South Pacific National Elite Touch Championship - Clash of Legends in the open men’s division. Nafanua claimed victorious in the open women’s division. The tournament was held at the Saint Joseph’s College on Saturday and was a platform for national trials, with local talent and New Zealand-based players vying for a spot in the Samoa national training squad. The squad will represent Samoa in upcoming tournaments like the Touch World Cup (Malaysia) and the Pacific Games in 2019. The two-day tournament had four teams competing in the women’s and men’s divisions. The three local teams were Tagaloa Lagi (men’s and women’s), Nafanua (men’s and women’s), Business Systems Limited (B.S.L.) Vaea (men’s and women’s), and one New Zealand team Vaatausili (men’s). Vaatausili captain Tamalii Guthrie said that the majority of his team members are all New Zealand-based Samoans. “It was a huge honor for us to be here for the tournament, there were a lot of eyes on us because we are the team from New Zealand and so the expectation was also high. 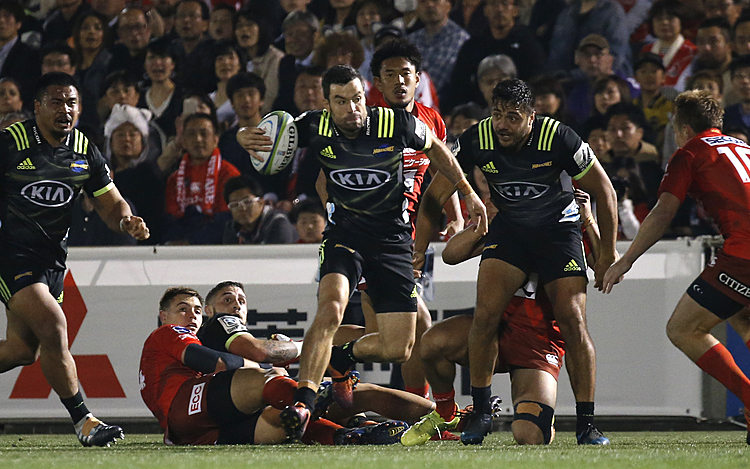 “Our main goal was to win and have the chance to try and play for Samoa in the Touch World Cup, and with judging by the results we came prepared. 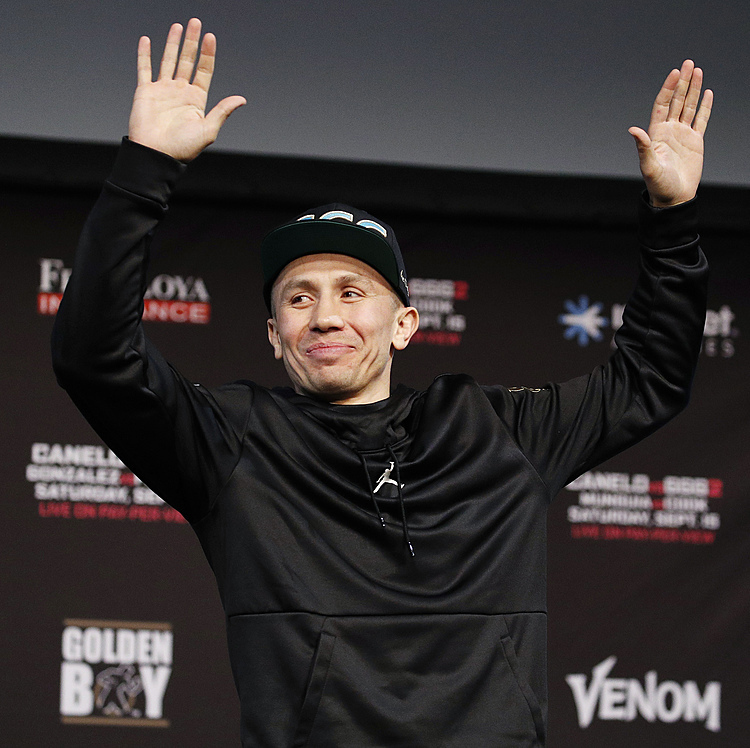 “The excitement was there throughout it all. At the end of the day it was all teamwork that pulled us through,” Tamalii stated. The Samoa Touch Rugby national coaches Pa’o Lincoln Fereti (men’s coach - New Zealand) and Geoff Hooper (women’s coach - Australia) were also present to spot talent for their national teams. “I am very impressed with the local players, looking at the games so far, out of the three local teams B.S.L. Vaea is the sharper team so far, with that being said, they’re quite clinical in playing smart and having experienced players. “In terms of the selection criteria, I am looking for athletes. They have to be prepared in delivering their best performances throughout a four-day tournament, fitness and skills required. But most importantly they have to be mentally tough,” Pa’o said. Samoa Touch is currently ranked number one in the Pacific and are the reigning Pacific Games gold medalists for mixed opens, silver medalists for the men’s and women’s divisions, and the Pacific Mini-Games gold medalists in the women’s division. The naming right sponsor for the tournament is Bank South Pacific (B.S.P.) while major sponsor is B.S.L. Associate sponsors are Taula Beverages, Naydith Events, Gambling Control Authority, The White House Hotel Samoa, Digicel and supporting sponsors are Samoa Stationery and Books, R&L Keil Holdings, LJ Goodies, Ace Hardware Samoa, Pacific Ezy Money Transfer, National University of Samoa, Invest Samoa, Bluebird Lumber and Hardware, Team Spirit and Ford Samoa.